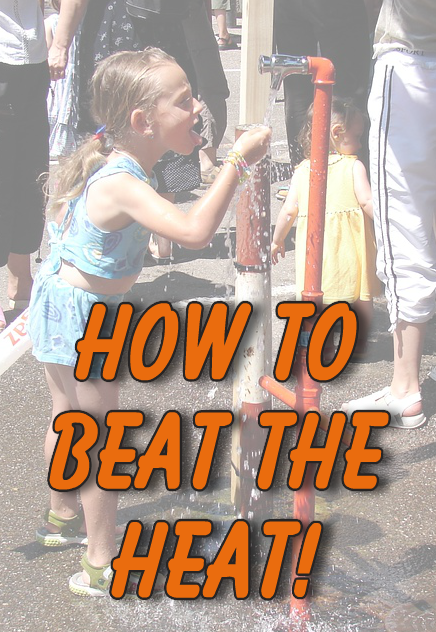 8 Thrifty Summer Activities for the Family and 10 Top Tips to Beat the Heat! 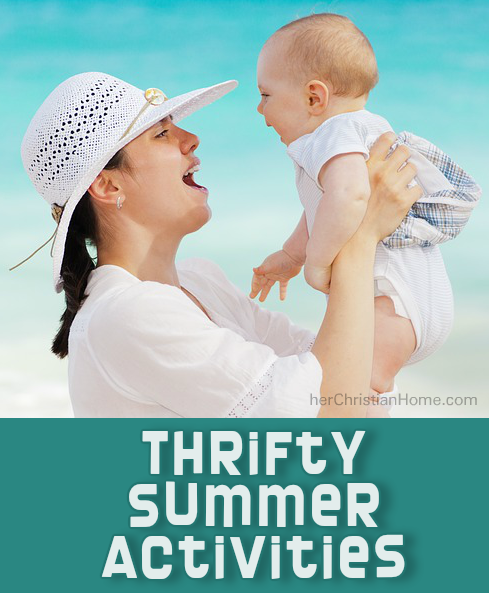 ==>> FAST summer goes by, so you need to plan well and make the most of summertime. 1. Enjoy the beautiful outdoors. Summer means warmer weather. Warmer weather means outdoors activities. Consider planning weekend picnics in the park. Take a hike or ride a bike. The idea is to get outside and get active. Family time together is bonding and makes fun memories. 2. Check out your local community events. Many communities have creative opportunities, many of which are free or low cost. Summer art in the park, or arts camps and arts fairs are common activities families can enjoy. 3. Plan to plant a summer garden. Think of the joy on your child’s face when they eat the first ripe tomato from your own garden! Of course, there is plenty of hard work to keep families busy leading up to harvest, but keeping a family garden is a great summer activity for the family to share. If you have a bumper crop, you may even want to consider selling your produce at a road-side booth or stall at the local farmer’s market. This would be a great learning experience for one and all. 4. Plan a family read-aloud for the cooler summer nights. Invite extended family members and friends over to join you. You can even have the adults read a story and let the children act them out. This could become one of the activities they remember most from the summer. 5. Plan outdoor board games. Set up a picnic table and chairs underneath a big shade tree or umbrella. Put together a basket of board games the family would like to learn or has enjoyed in the past. Take the games outside and enjoy the fresh air while you play Monopoly or Candyland. 6. Plan to have a water balloon war. You could also buy water guns for everyone in the family and see who can stay dry the longest. Not only will this get the family involved in an activity together, it will keep them active and hopefully cool them off at the same time. 7. Pitch your tent in the backyard. Even if family circumstances forbid you from taking a camping trip, don’t let circumstances stop you! Pitch your tent in the backyard and enjoy the same fun just a little closer to home. 8. Plan a “good Samaritan” act each month (or even each week). Think of a family that has fallen on hard times or a particular charity that could use some help. Do random acts of kindness for people in your neighborhood – weed an elderly neighbor’s flower garden, mow a single mom’s lawn, gather canned goods from your neighbors and take them to the local battered women’s shelter or food bank. There are so many good things your family could do if you just put your minds to it. While summer can be really fun, it’s very important to practice some simple safety precautions to keep things from going from fun to dangerous. Whether you’re inside or outside, there are lots of tricks and tips you can practice just to increase your comfort level when things heat up. 1. Hold Off Turning the AC On Many times, we turn on the AC as soon as it’s a little warm outside, or just because it’s a certain day of the year. (May 1st ! Time to switch the thermostat to AC!) But if you can hold off a bit, you’ll be surprised at how you will get used to the increasing heat of the season gradually. 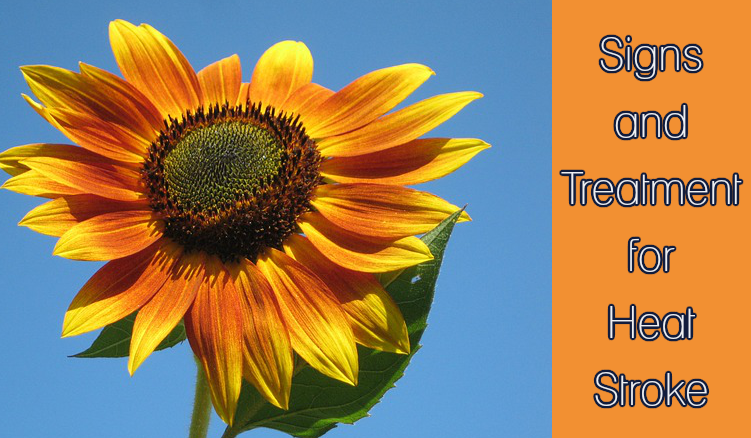 Without the “shock” of going from a cool house to a hot outside, your body will adjust itself to the hot temperatures. 2. Time for Sun, Time for Shade In your home, you can close curtains and blinds when sunshine starts pouring in late in the morning, and open them during the early morning and early evening hours. This can make a big difference in keeping your home cool during the day. 3. Night Air During the night, open windows. Use fans in the windows to help pull in the cool night air. When the sun comes up and things start to get hot, turn off the fans and close the windows. If you don’t use air conditioning at all, you might want to leave the windows partly open and move the fans away from open windows but still leave them on. 4. Damp Sheets When it starts to cool down outside but your house is still hot, consider hanging a wet sheet in the doorway or in open windows. Incoming air is cooled by the water evaporating off the sheet. You might be able to rig something up with a wet sheet in front of a fan, but make sure the fan isn’t touching the sheet. 5. Cross Breezes It’s amazing what a difference it makes in air circulation when you have windows and doors open opposite each other. This allows the air to flow all the way through your house. 6. Slow Down There’s a reason why summer is considered a “lazy” season. While most of us can’t stop everything in the summer, we can slow things down a bit. For example, strenuous outdoor activities can be saved for evening or early morning. And it’s important to know your limits – seniors will have a different idea of “strenuous” than young children, for example! 7. Indoor Fun Children are especially hard to slow down during the summer time. They want to be outside in the heat running around! While it’s good to get out and get exercise and fresh air, consider some fun indoor activities for kids on those really hot days. Local museums and fitness centers are good places to start. 8. Water Fun There’s nothing like water to keep you cool. For outdoor summer fun, use water sprinklers, water hose, water balloons and other wet activities to enjoy the outdoors while beating the heat. 9. Carry Spritzers Since not all outdoor activities are going to involve being indoors or playing in water, bring your own water! A spray bottle or mister can help a lot in keeping you cool. Put some ice in the spray bottle if you can, and refrigerate it between uses or keep it in a portable cooler. 10. Fans & Sipping on Ice Water – How Grandma Stayed Cool Prior to electricity (which is most of human history! ), people used various means to keep cool – usually it involved staying outdoors or taking a dip in a local body of water. So when the humble electric fan was invented, it must have been a boon for people who had no way to keep the air moving without fanning themselves. While fans do use electricity, they do not use nearly as much as a central air conditioning unit, and you only need to run a fan in the room(s) you are using. Sipping on ice water also does amazing things to lower your body temperature and cool down. I often put a drop or two of peppermint oil in with my ice water during the summer. This is so refreshing and much better than sugared drinks, which are not healthy for you anyway. ← Curried Egg Salad Recipe – No Mayo!